It’s not long now until this year’s shows’ season will be in full swing. Spring heralds Cats Protection's return to the road to continue spreading the word about our work with cats to diverse audiences. Click here for the list of events where Cats Protection's attendance is confirmed for this year. There will be further additions to the programme so please check back regularly for updates or keep an eye on our Facebook page. 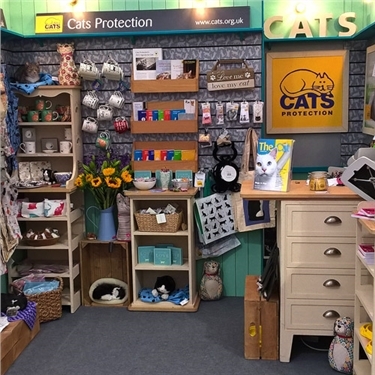 If you’re visiting any of the shows listed on this year’s programme, do drop by the Cats Protection stand to say hello – we very much look forward to meeting you.